As one of the global market leaders in the green roof industry, ZinCo supplies state-of-the art green roof systems for the landscaping of roofs. 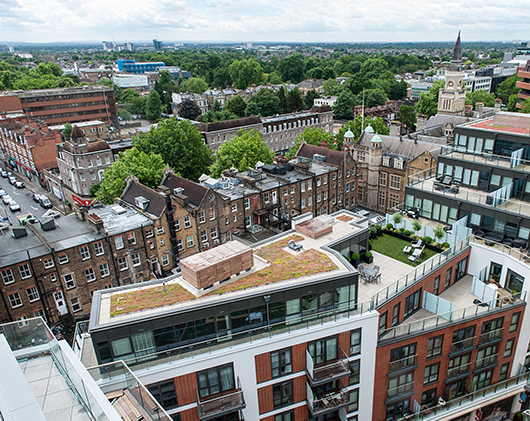 The company offers a wide range of green roof system solutions to suit different sorts of roof structures: flat, pitched, inverted and other roof types. In addition, ZinCo offers innovative fall protection systems for personal and collective safety on roofs. ZinCo systems comply with international standards and selected systems have undergone a European Technical Assessment. With an experience of more than 40 years in the green roof sector, ZinCo have always been pioneers and innovators in the field of extensive and intensive roof greening. In fact the company puts a great emphasis on permanent research and development. Apart from the material supply, the company also offers technical support and consultancy. These services cover the whole green roof process from planning to completion of a green roof project. Whether there is a need for designs, specifications, CAD and on-site support, ZinCo can has the expertise. Furthermore, ZinCo is recognised as a global player in the world of green roofs. The company has numerous subsidiaries and representations all over the world. The headquarters is based in Germany, the UK branch is situated in Cambridge.